Let’s be honest, almost everyone, nowadays, use notes on a daily basis just to keep things done, because sometimes it is too much information to remember. It’s comfortable, allows you to structure information, helps to emphasize and just ease up your life. That’s why we want to help organize the whole work process of your team, allow them to follow up on tasks, share knowledge and useful information with co-workers without even leaving their account. All these actions can be performed instantly, which allows you to quickly manage all your traffic flows and direct your team to success! We’re always trying to improve our product, provide the most comfortable and effective platform for our clients. 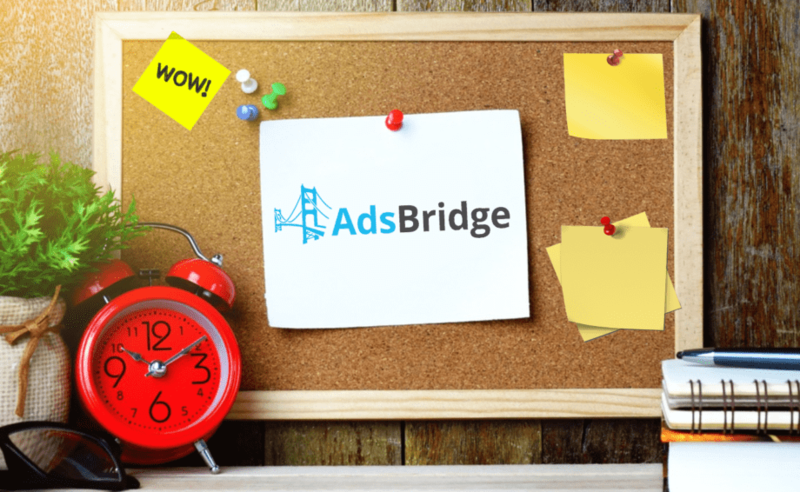 Use AdsBridge to the fullest and get high results! Oh, nooooo… bots, moderators… hack them all!